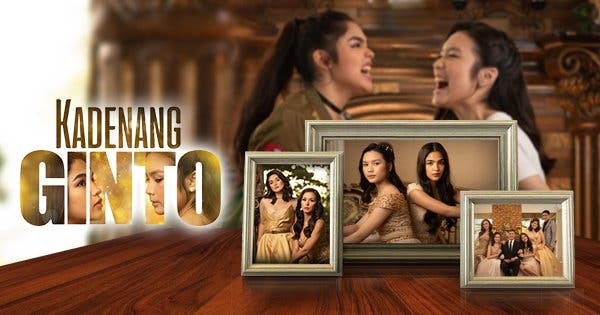 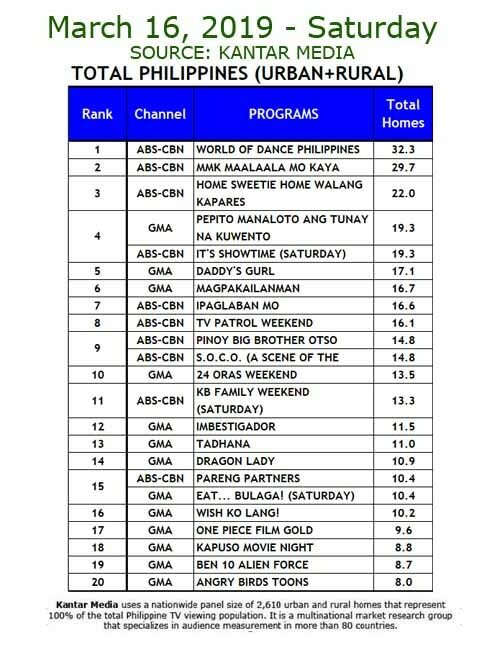 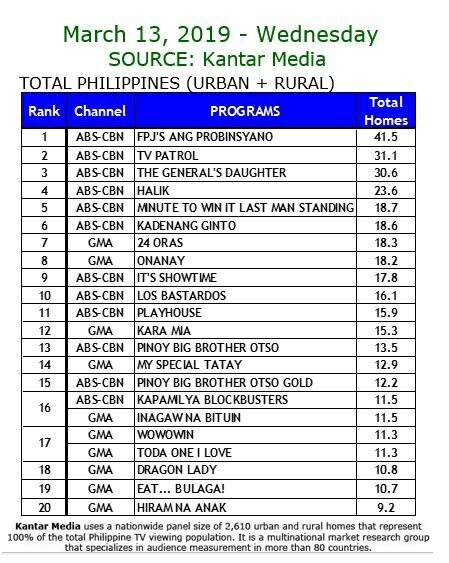 “Kadenang Ginto” scored a new all-time high rating of 21.2%, or 8.8 points higher than rival “Inagaw na Bituin” that got 12.4% last March 14 (Thursday) according to Kantar Media National TV Ratings. 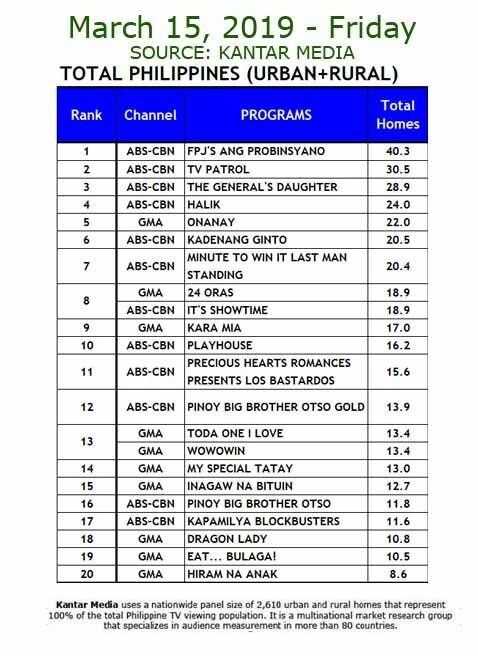 Meanwhile, “FPJ’s Ang Probinsyano” sustained its winning streak with 40.3%, versus “Kara Mia’s” 17.0% last March 15 (Friday). 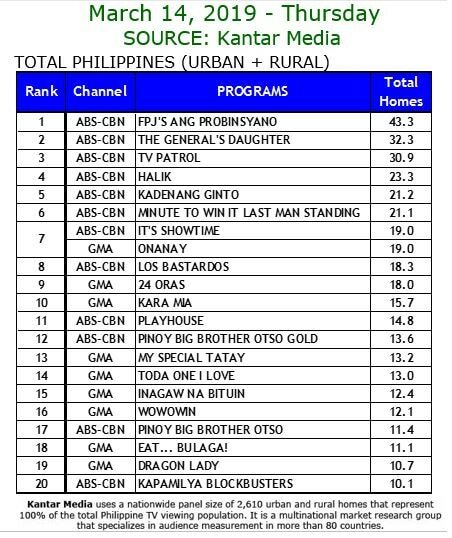 The life story of Filipino karate champ and international MMA fighter Ramon Gonzales (played by JM de Guzman) in “Maalaala Mo Kaya” earned 29.7%, compared to “Magpakailanman’s” 16.7% last March 16 (Saturday). 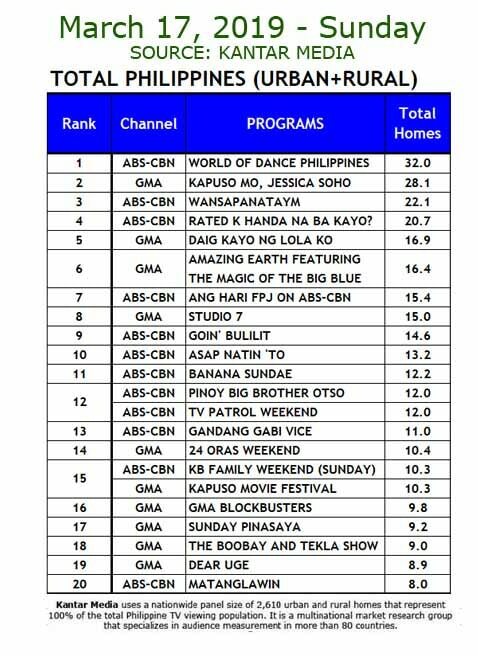 More viewers loved the showcase of talent in “World of Dance Philippines” as it got 32%, beating “Studio 7’s” 15% last March 17 (Sunday).